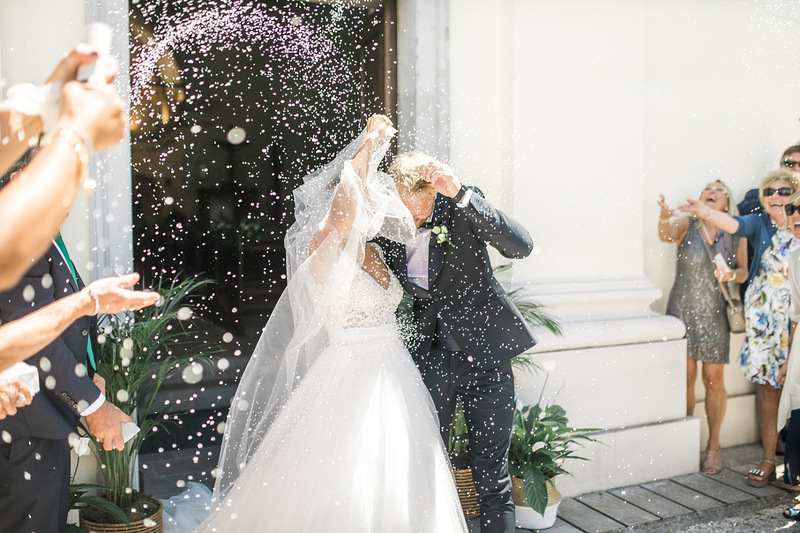 This is the wedding we will remember forever. 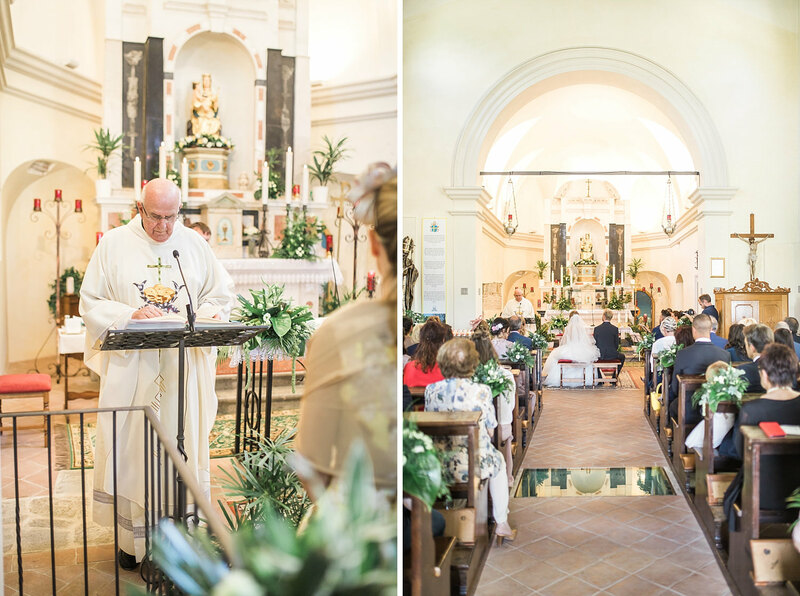 It was our first destination wedding. 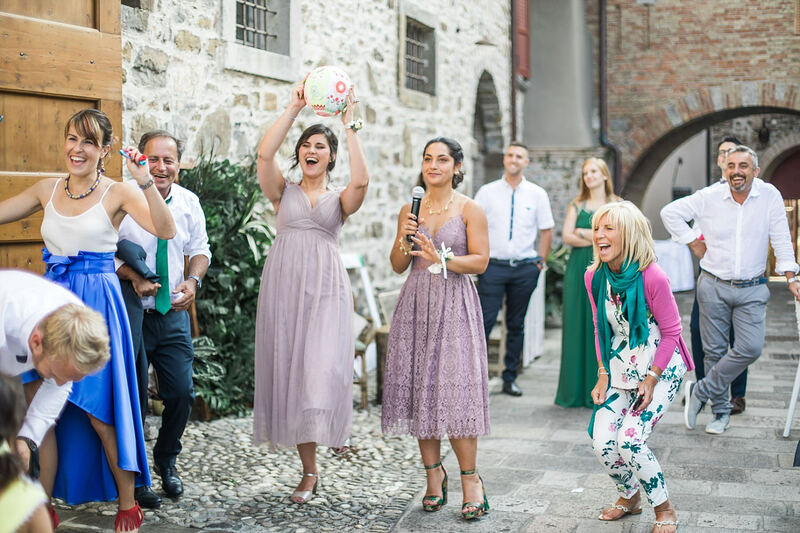 It took place in Italy, country which had been on our bucket list for photographing a wedding for a long time. 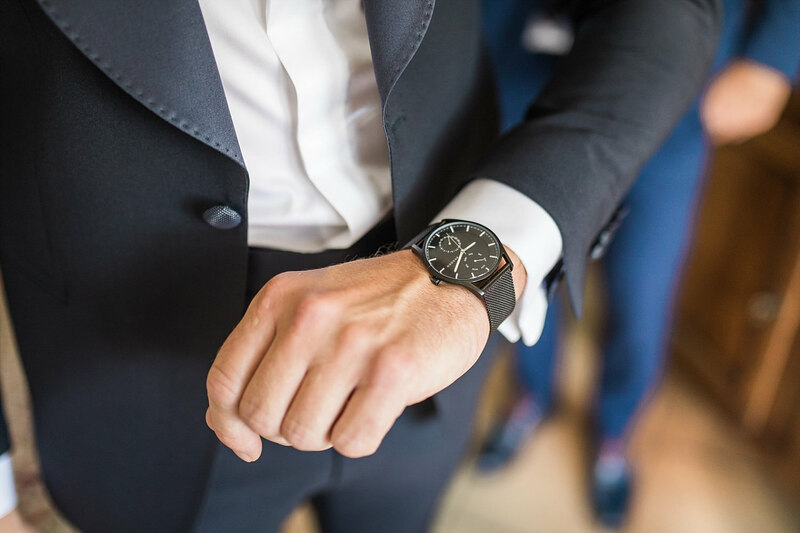 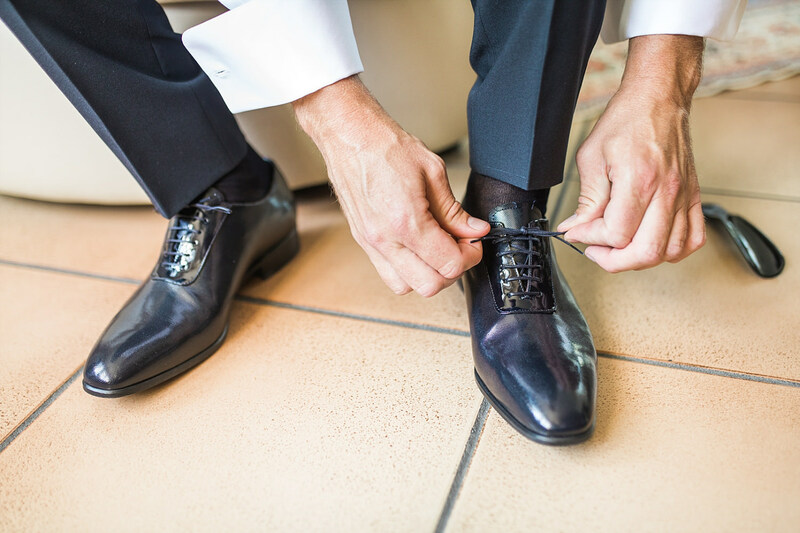 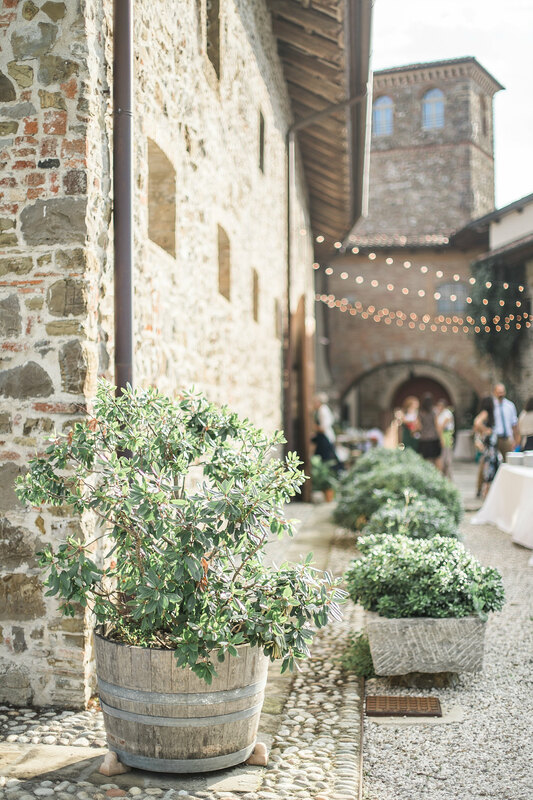 It was an Italian wedding indeed, including all the charm Italy has to offer. 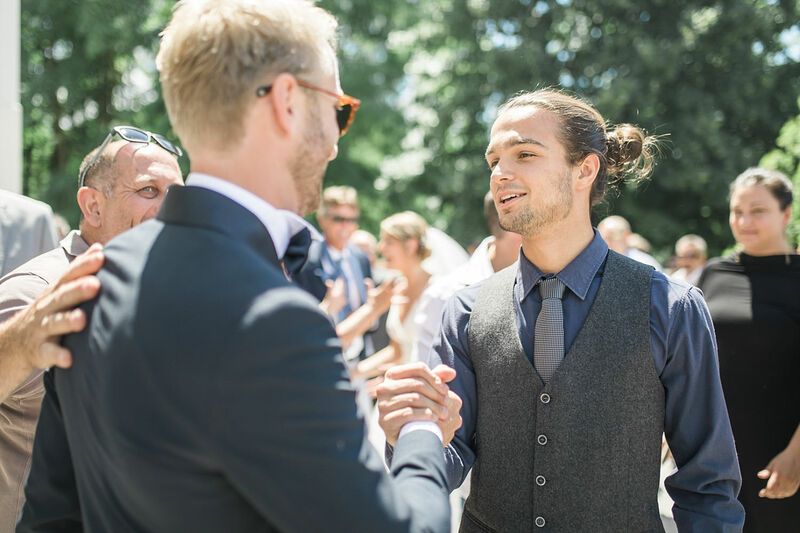 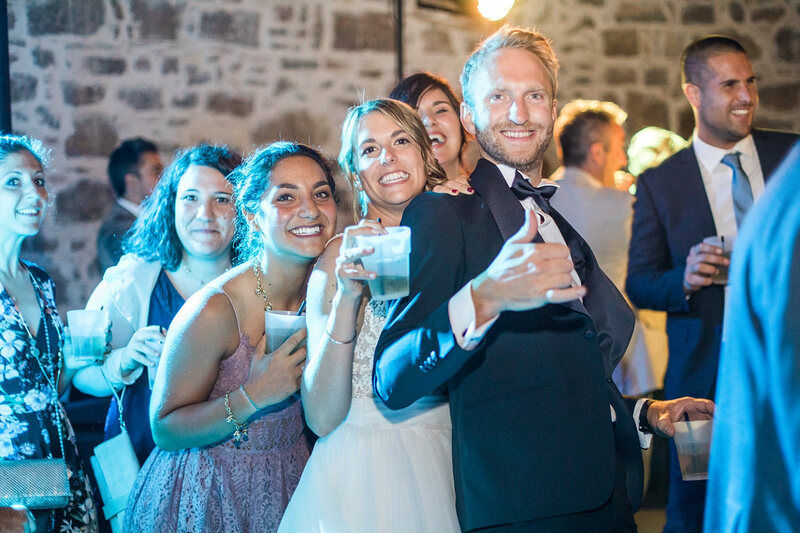 You can imagine how excited we were, when Giorgia and Matteo got in touch with us for the first time. 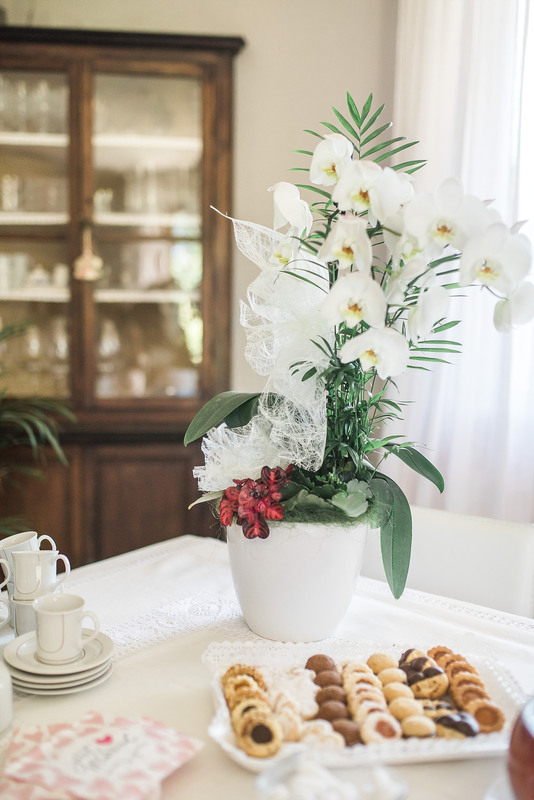 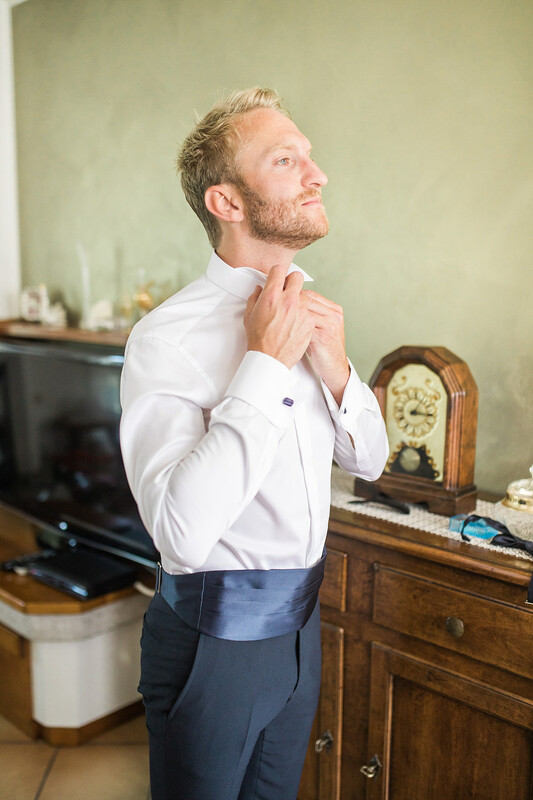 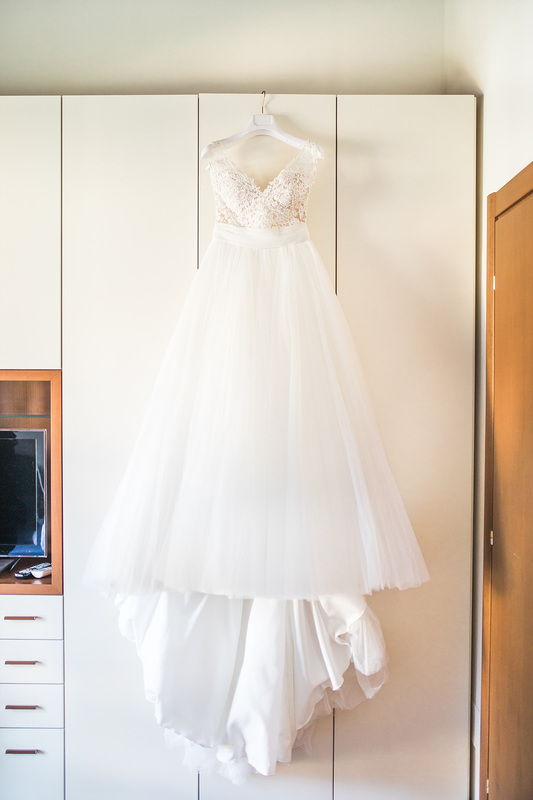 Our bright and airy photography style was exactly what they had been looking for. 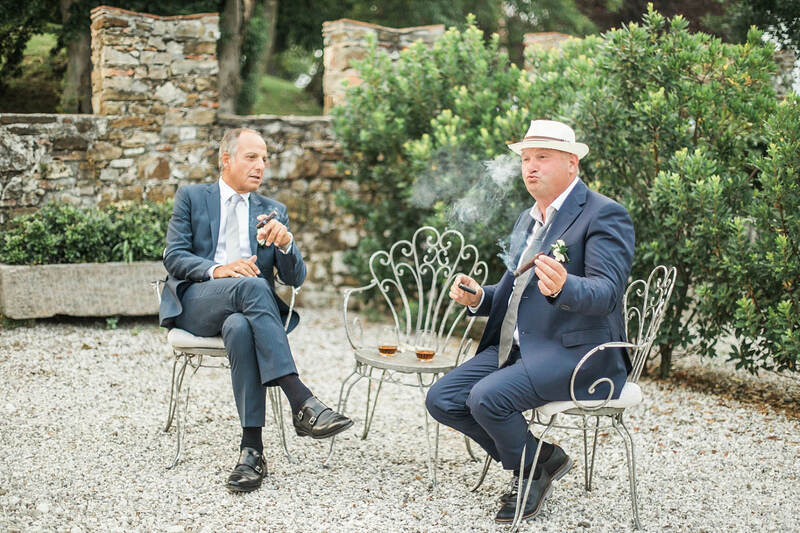 We arranged a coffee meeting. 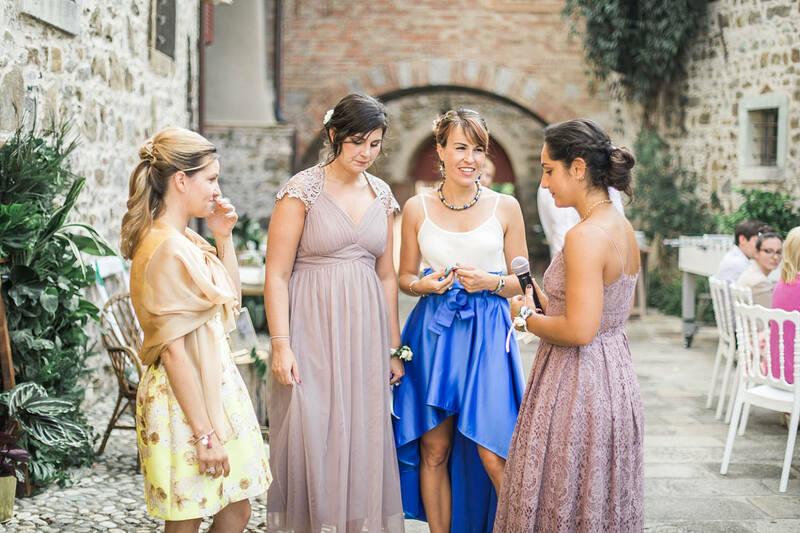 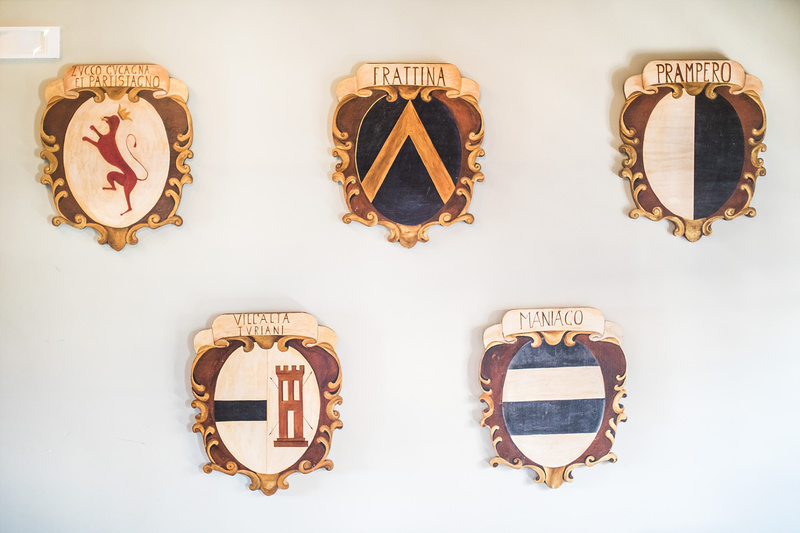 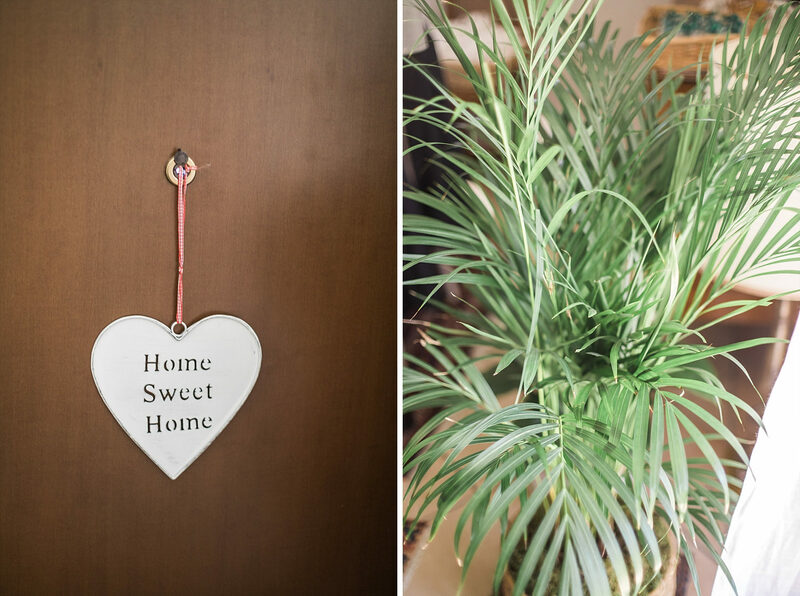 We were a little nervous before we entered a typical old Italian cafe in Gorizia, but it soon turned into excitement. 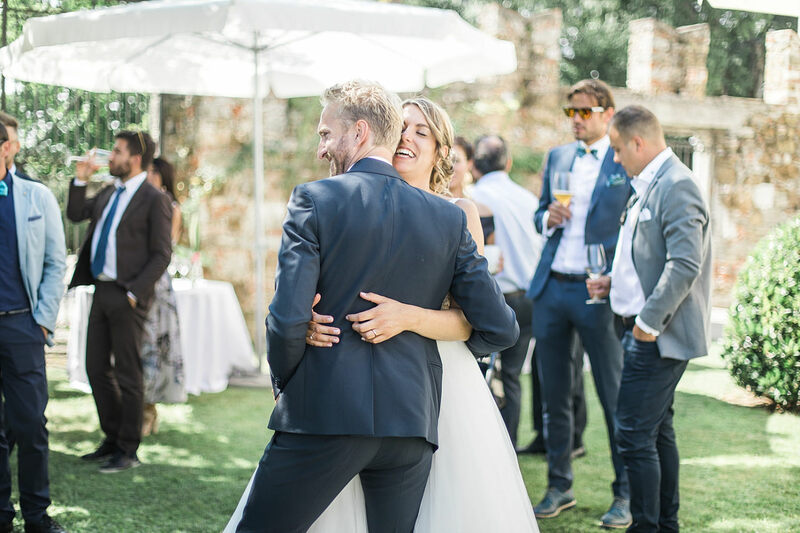 We all had a lot in common, love for nature, travels and easy going approach to life were the reasons we quickly connected. 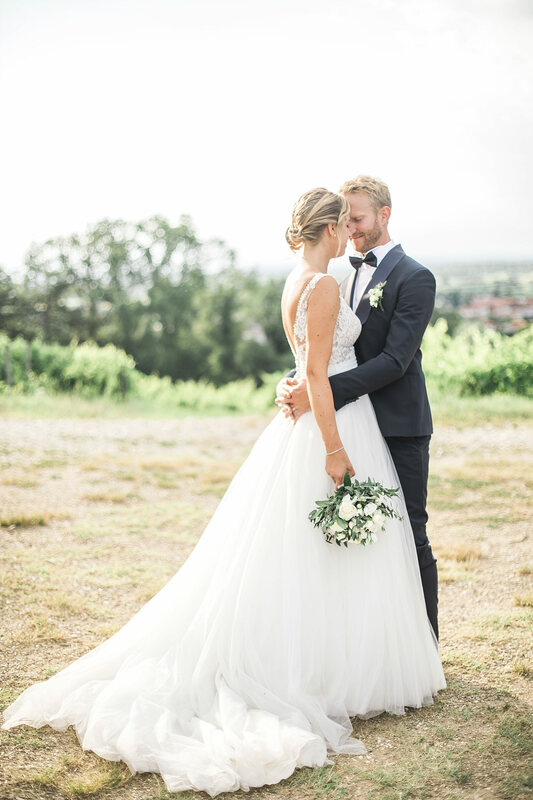 Their wedding was a dream. 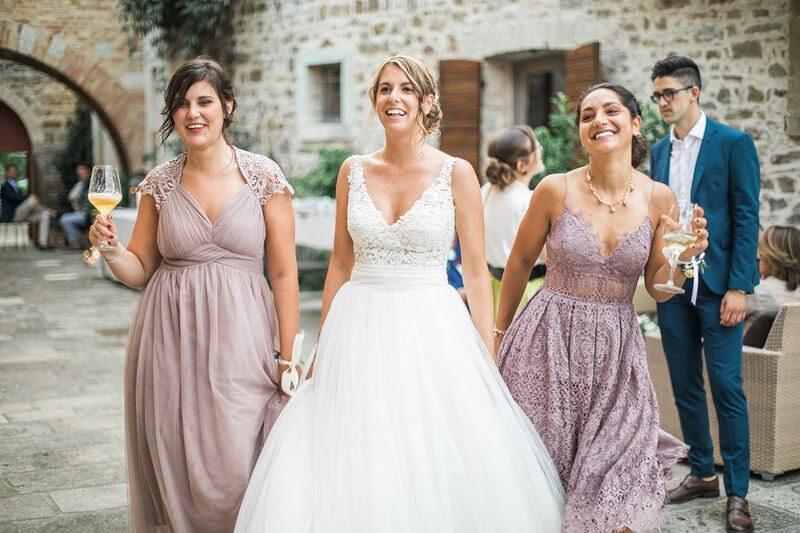 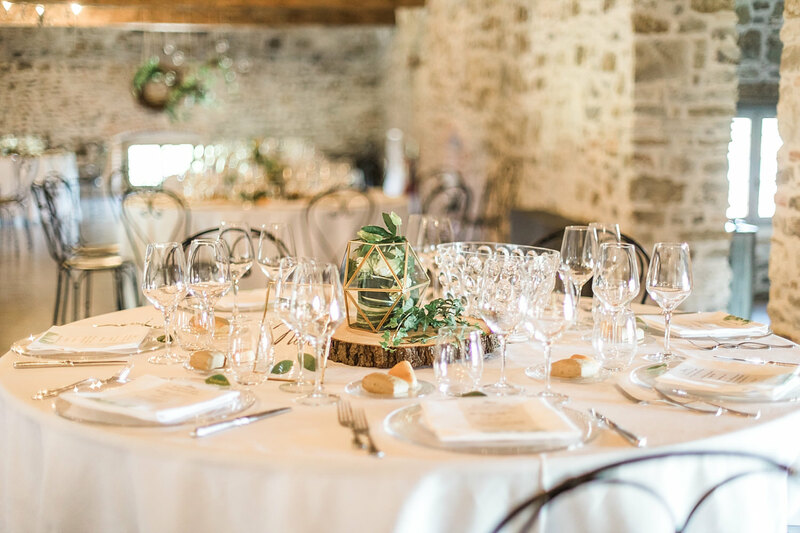 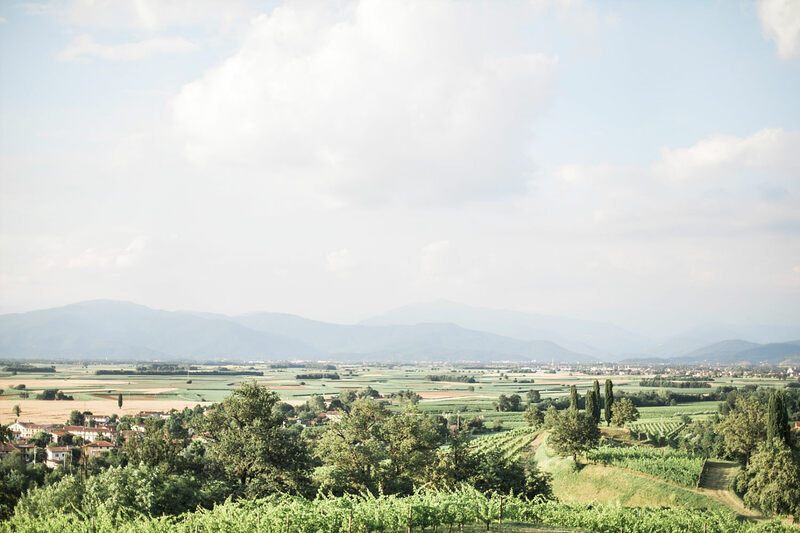 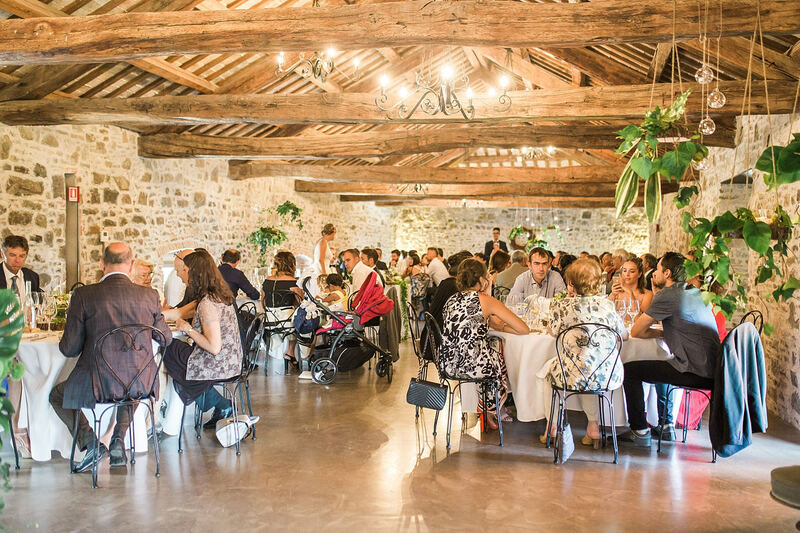 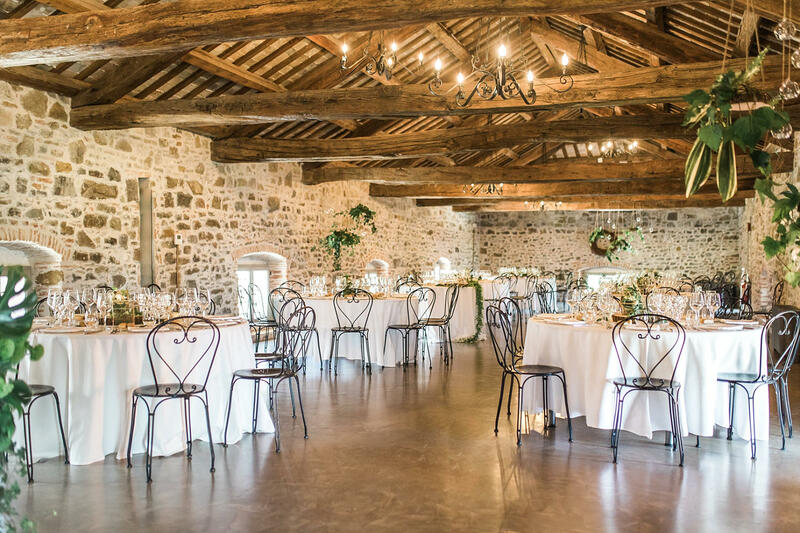 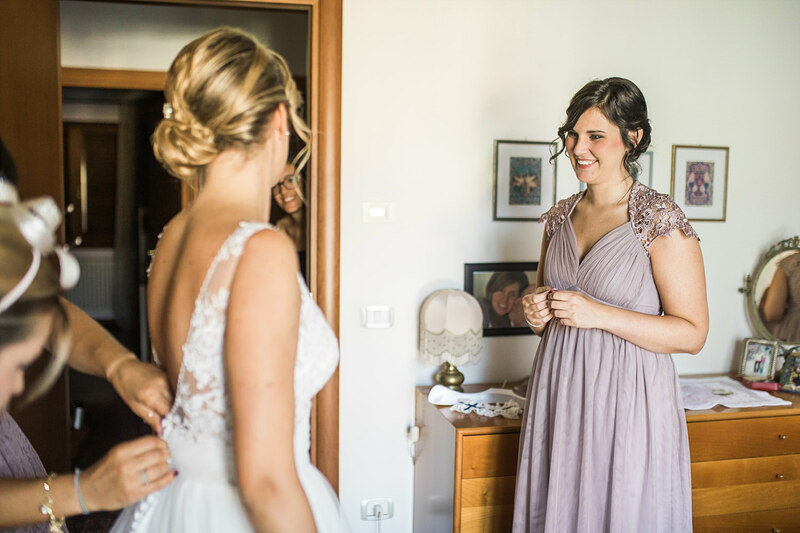 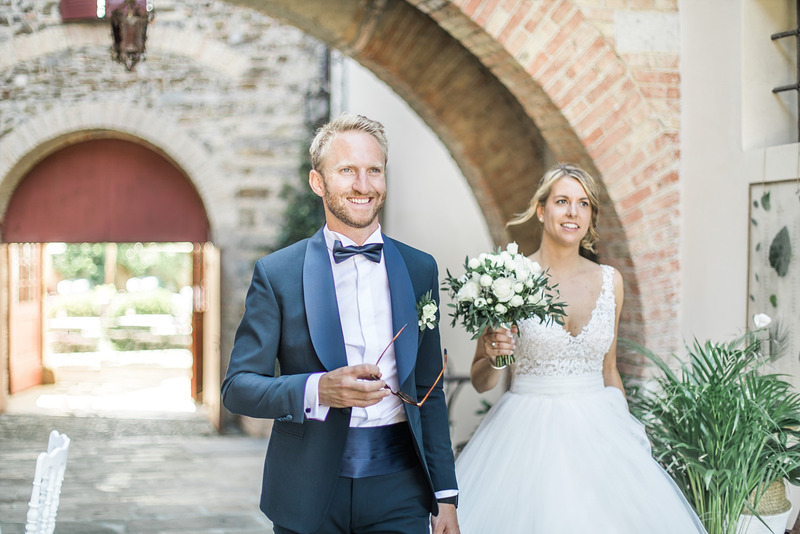 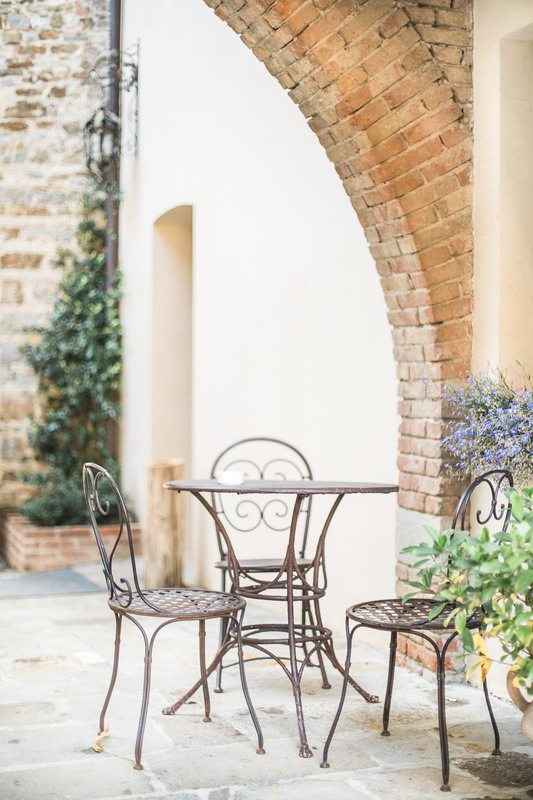 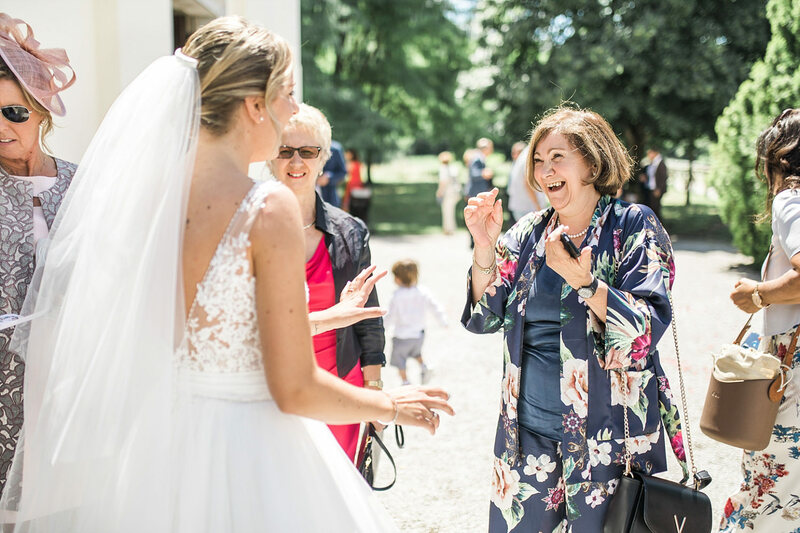 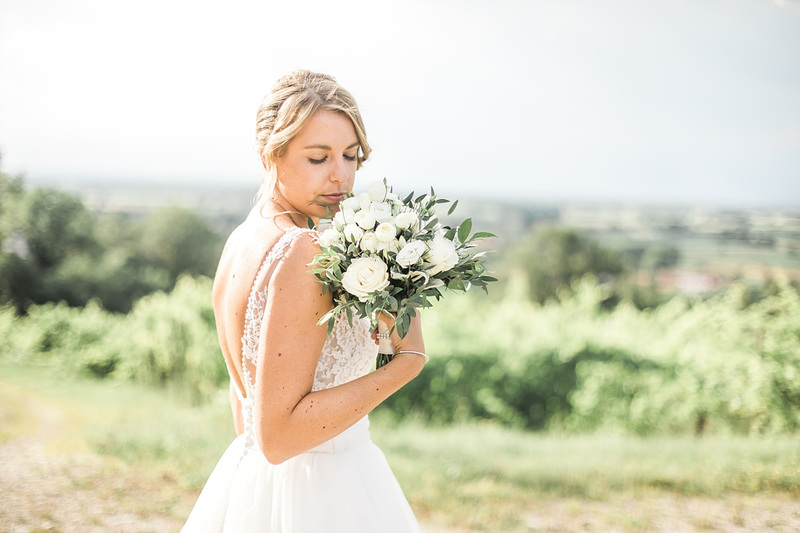 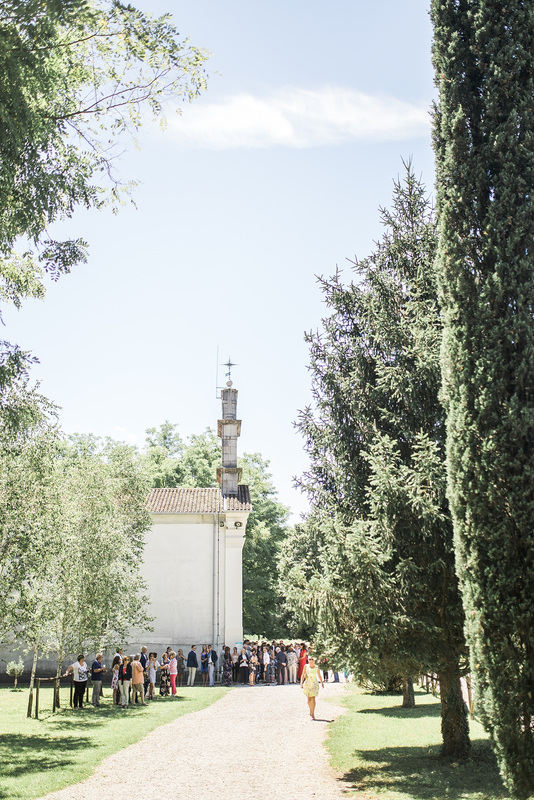 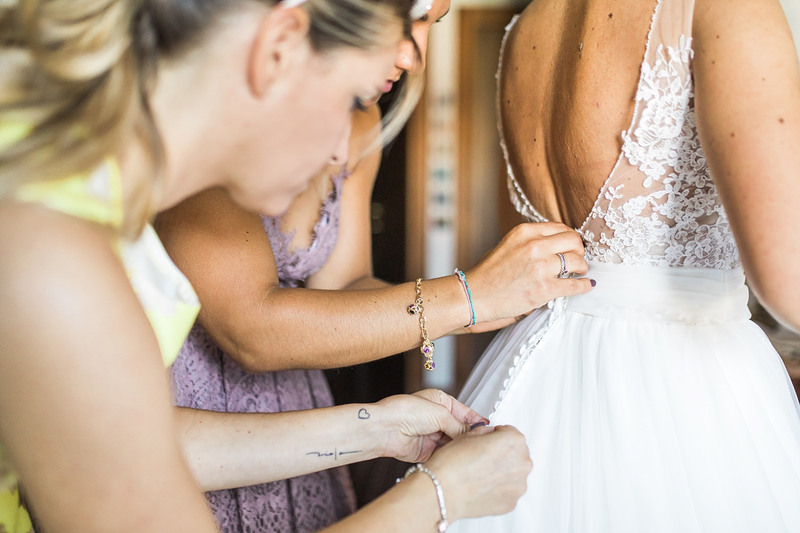 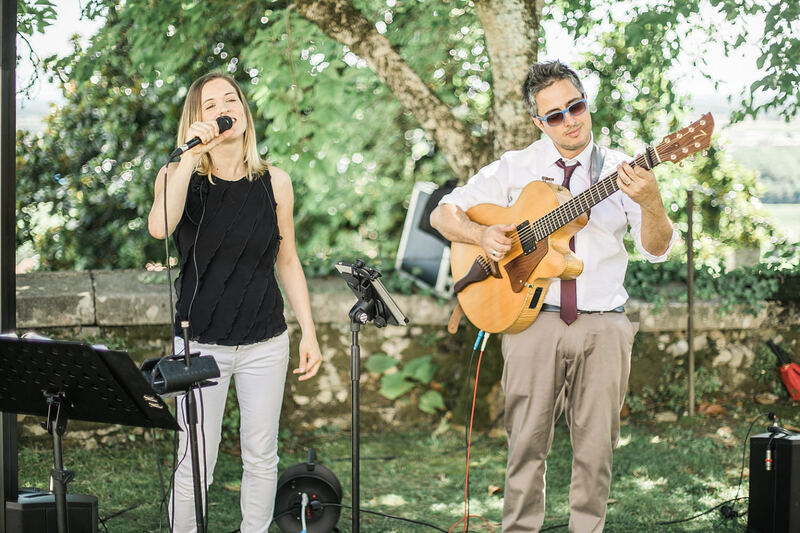 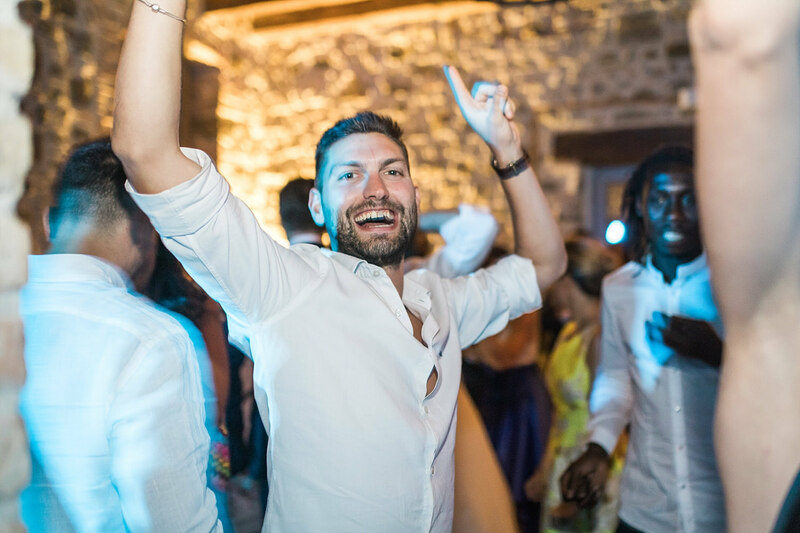 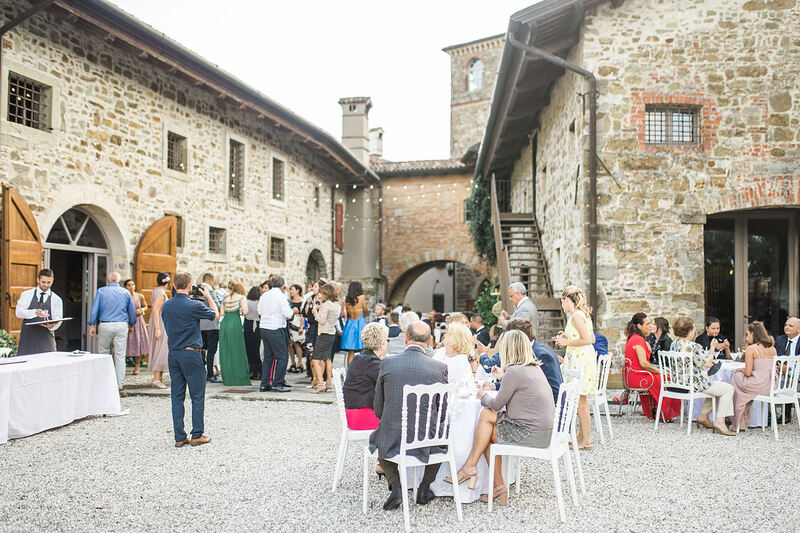 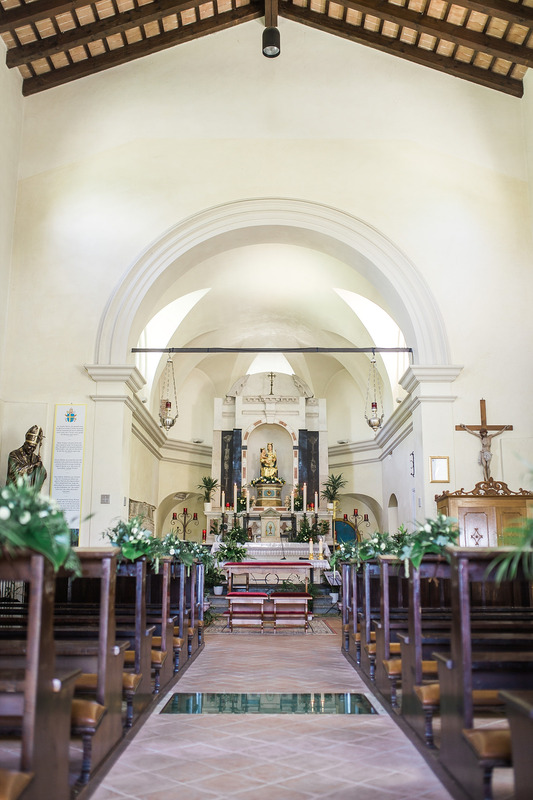 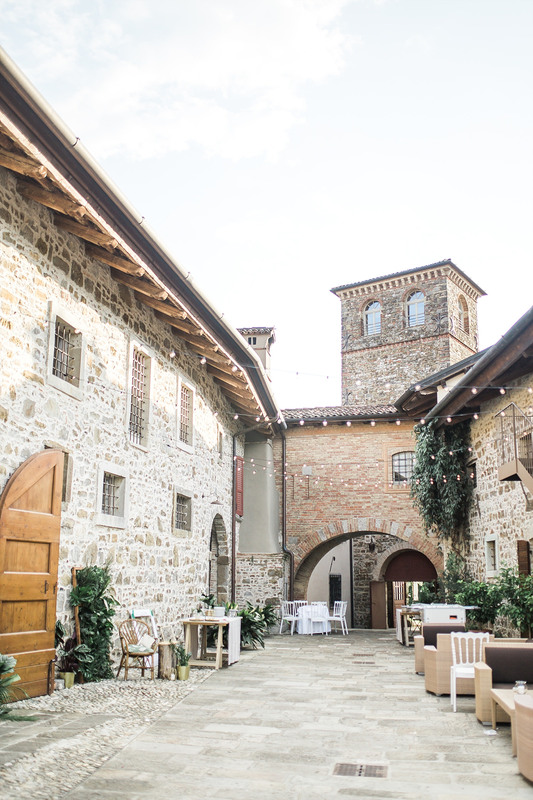 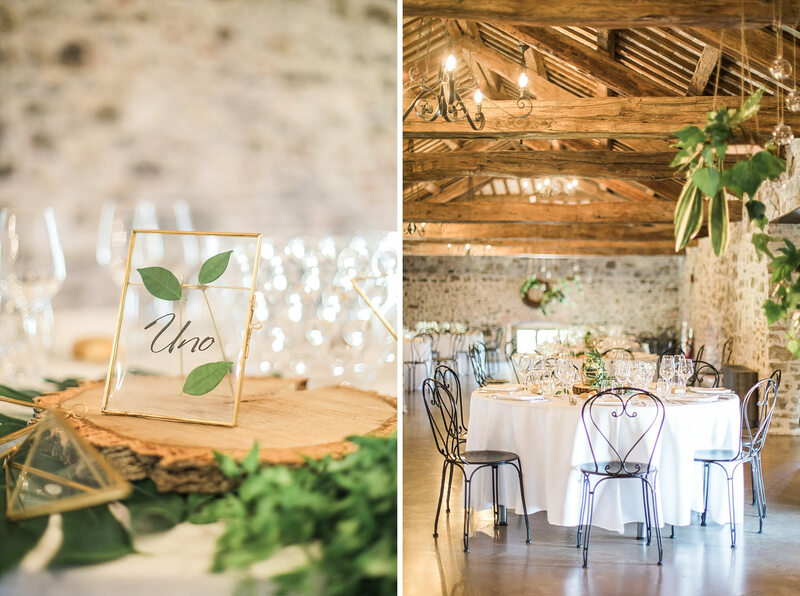 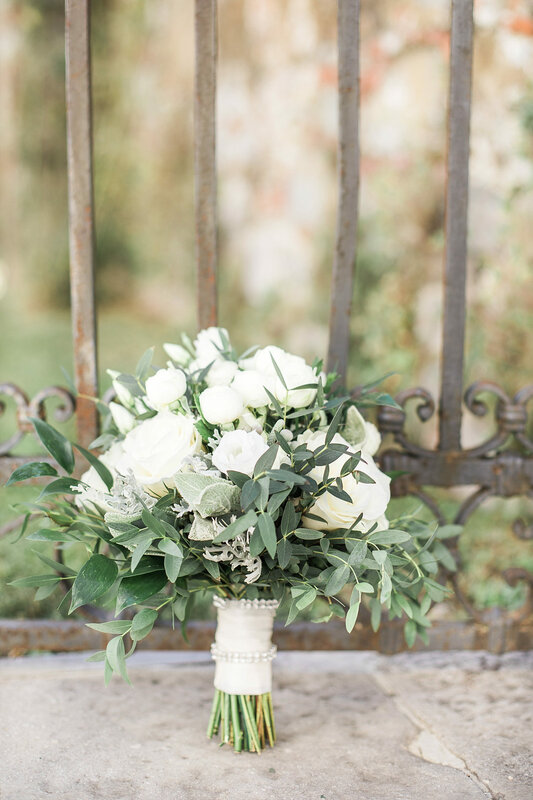 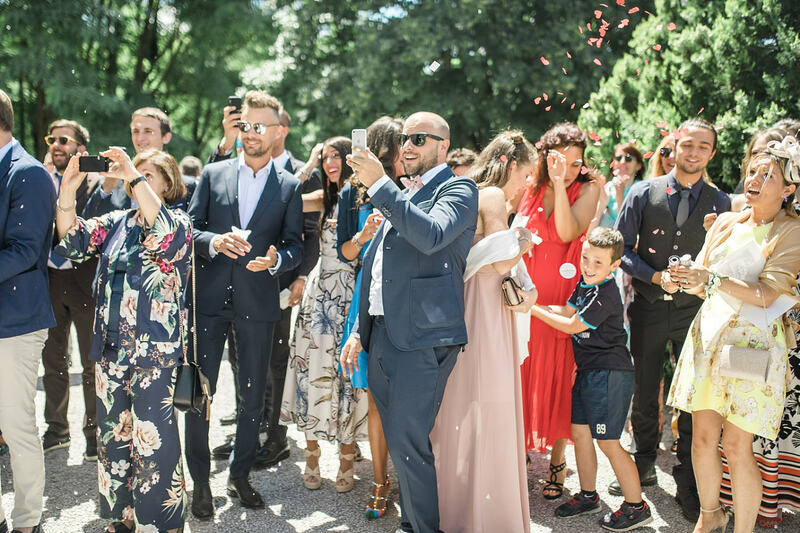 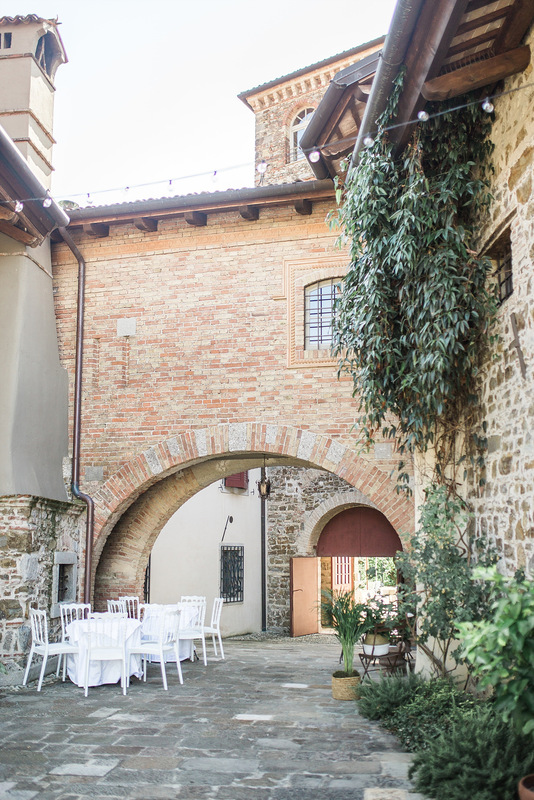 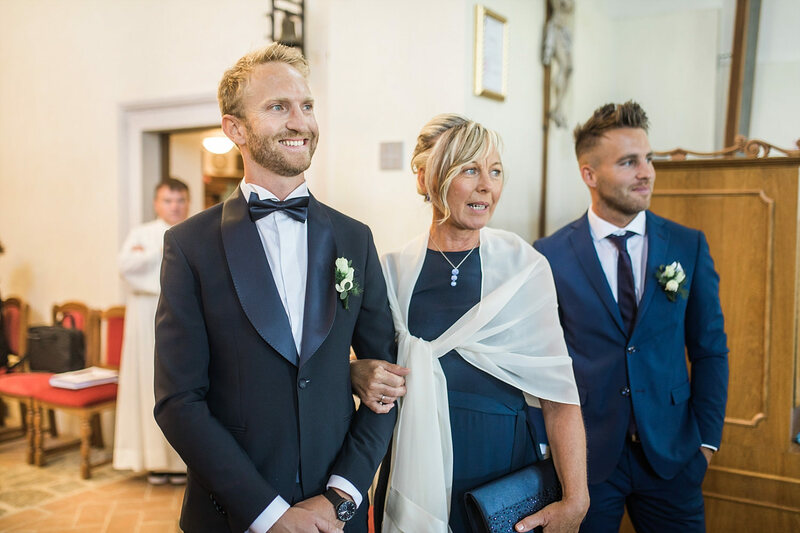 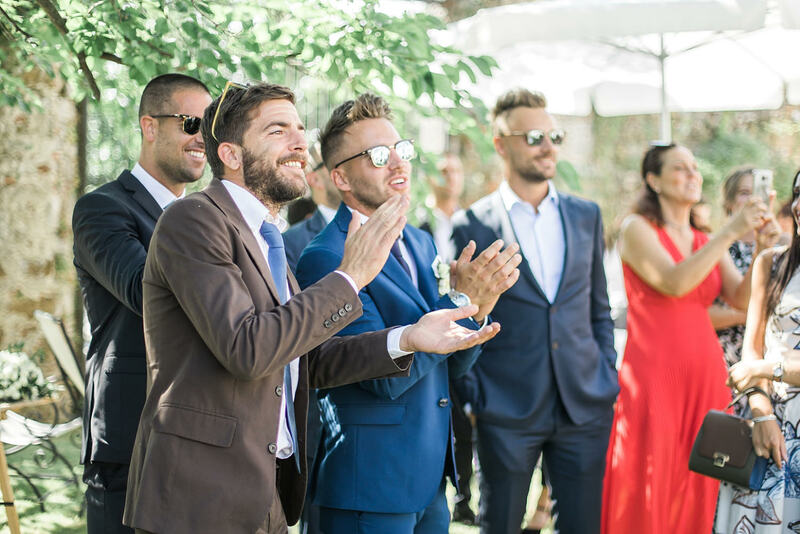 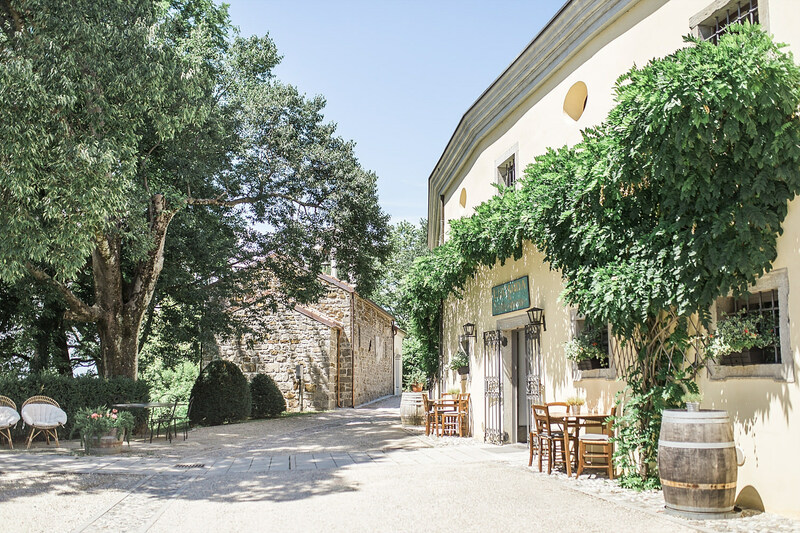 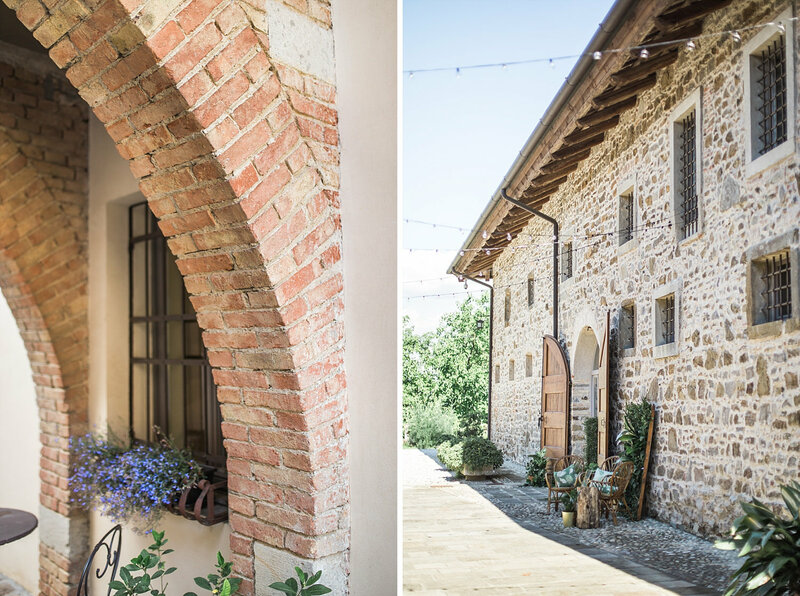 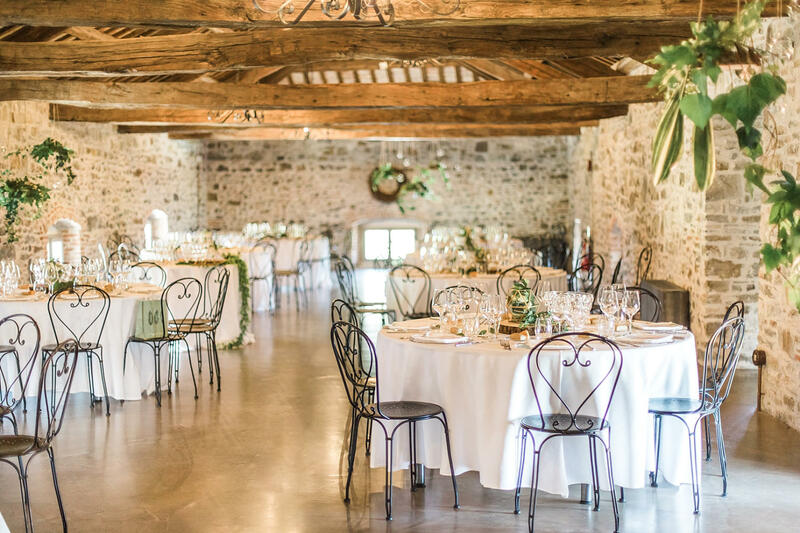 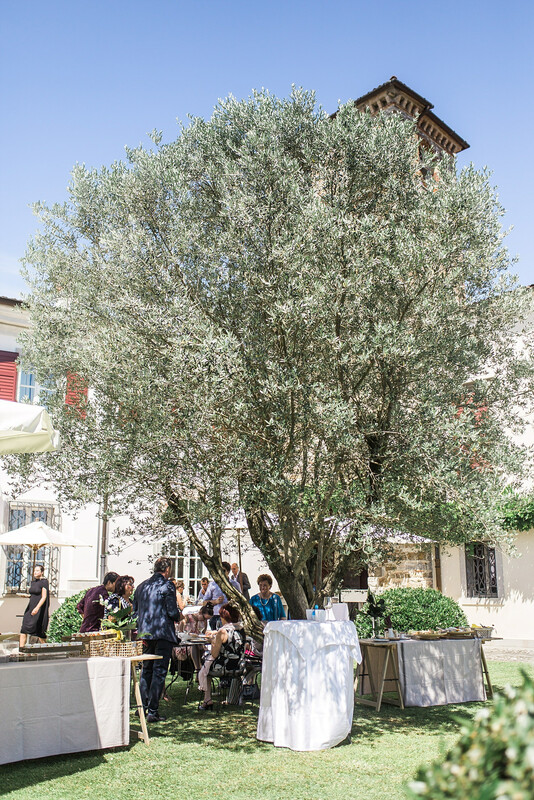 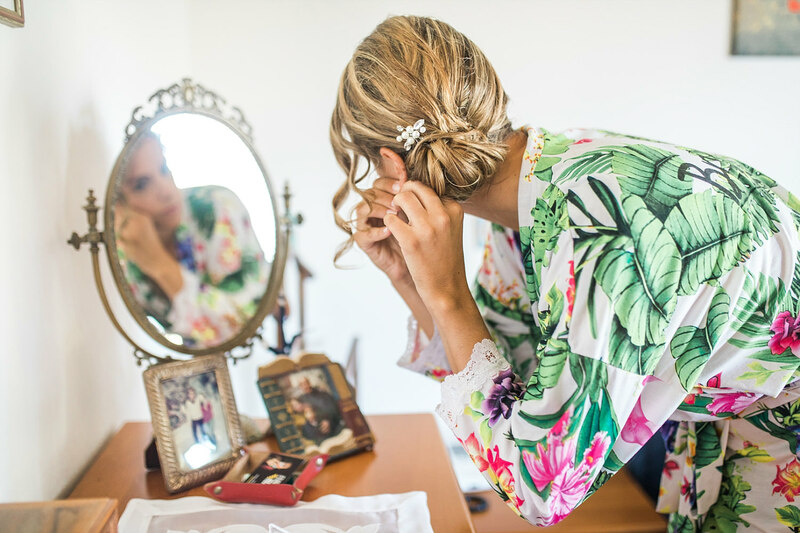 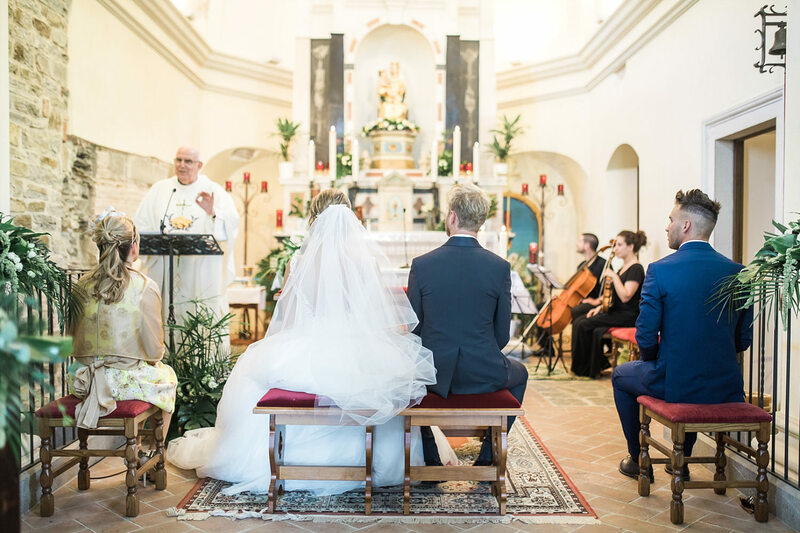 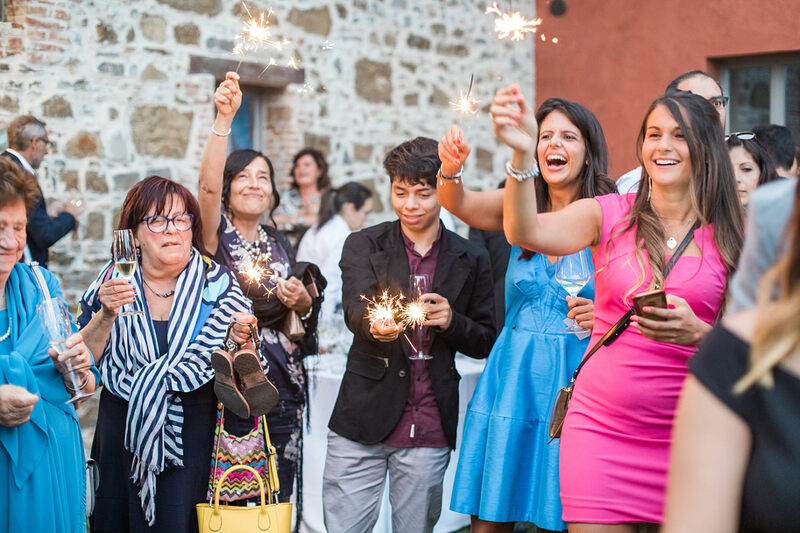 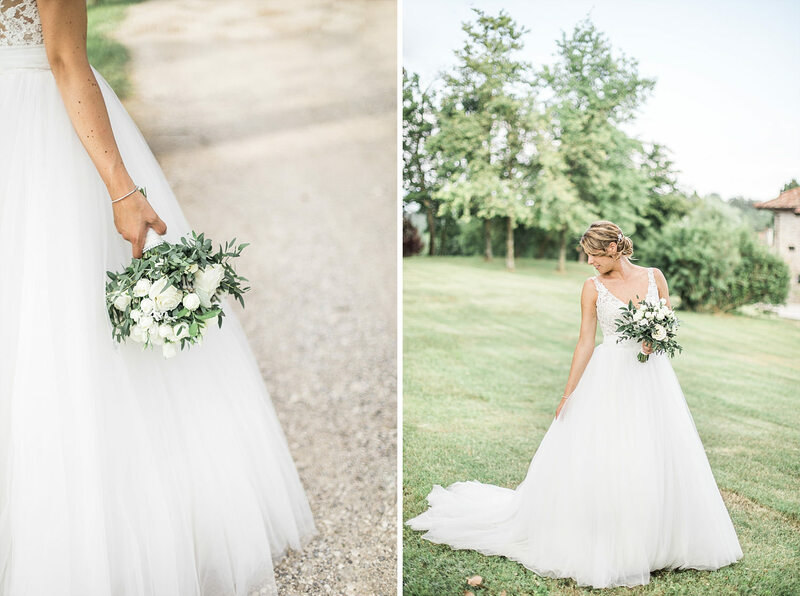 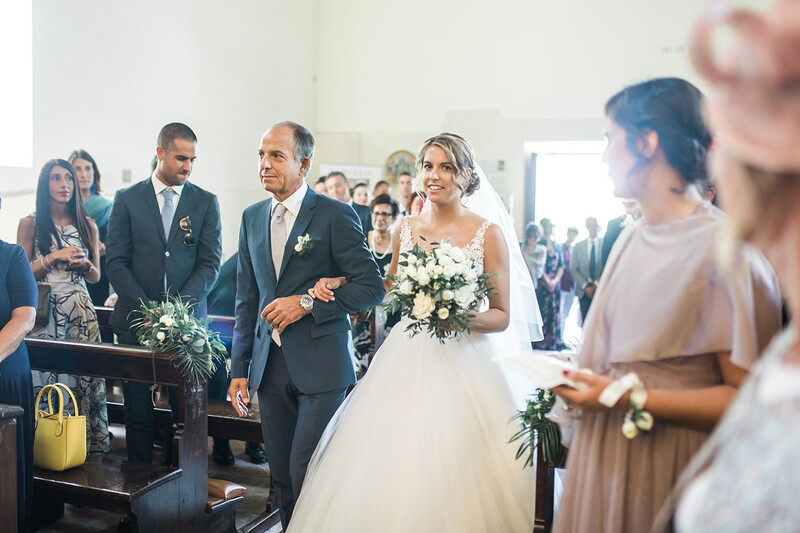 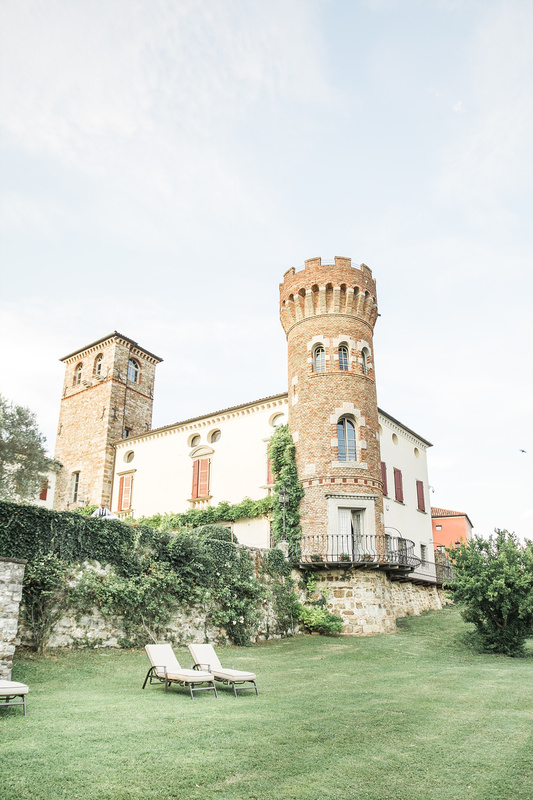 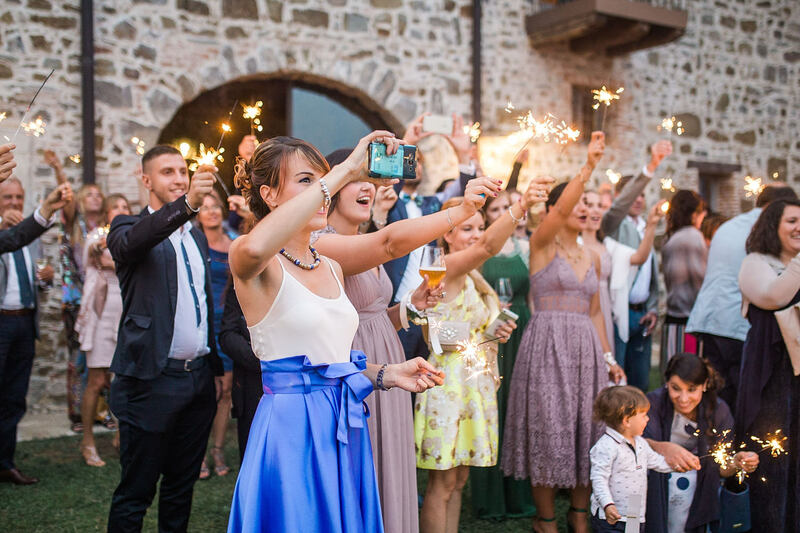 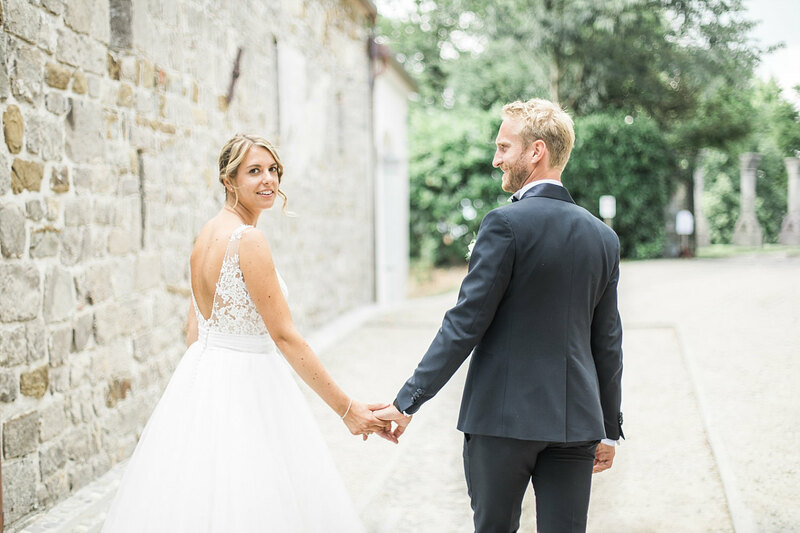 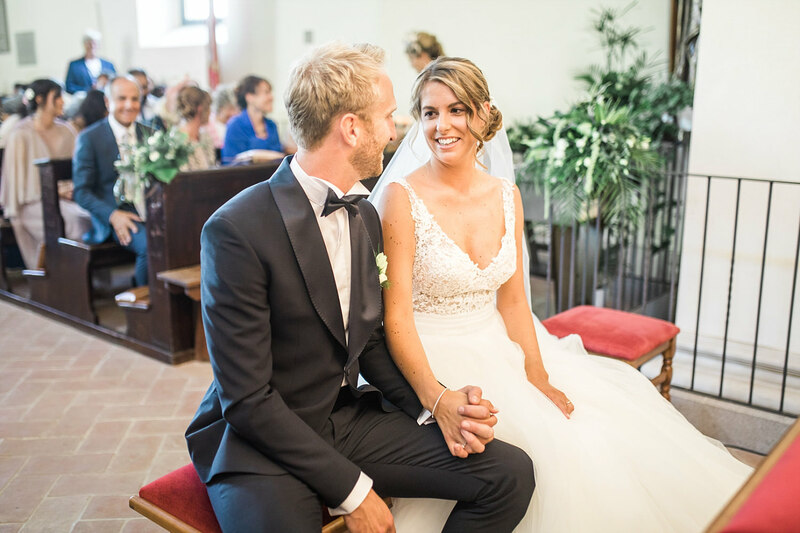 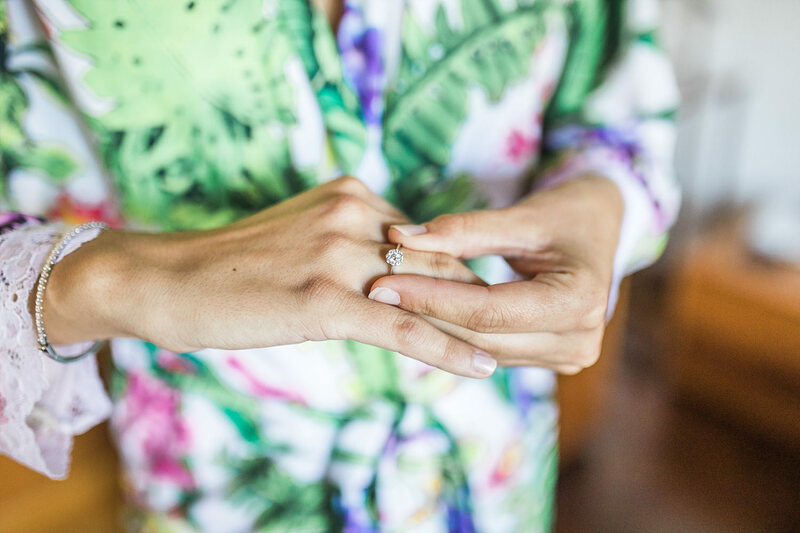 They got married in a small chuch Regina dei Poppoli, the reception took place at Buttrio Castle, surrounded by Friulian hills, olive trees and wineries. 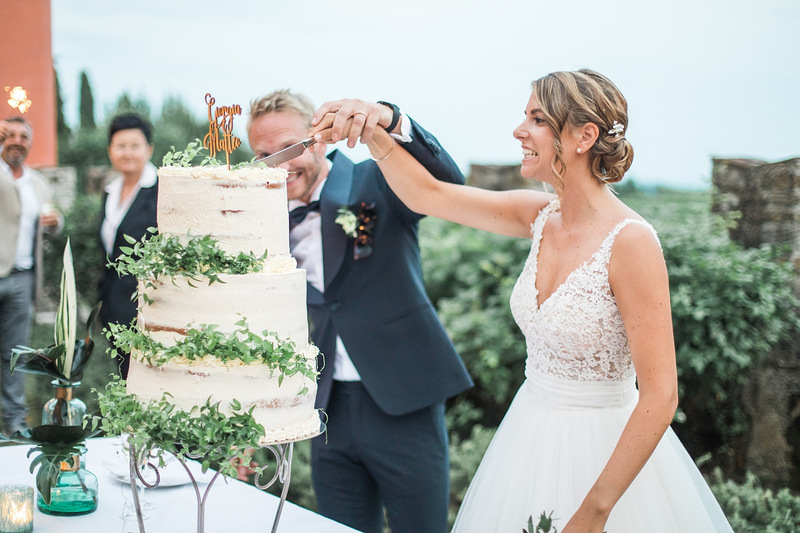 Organising their wedding they thought of every single detail. 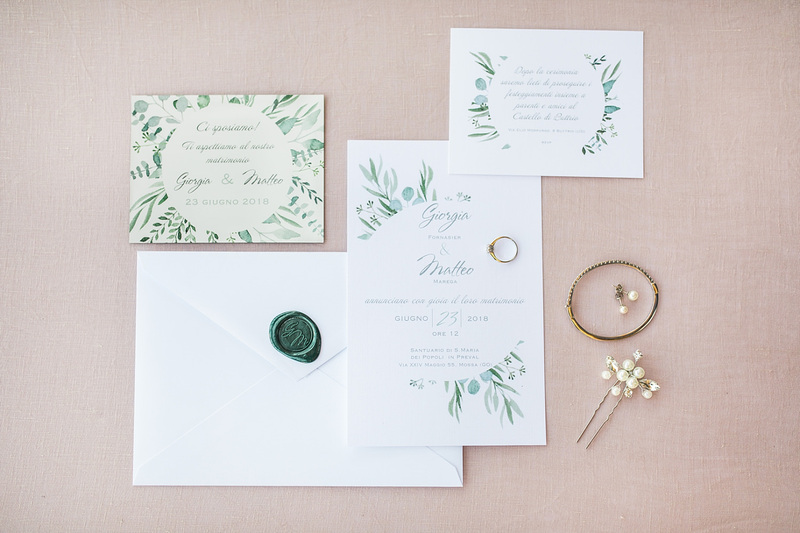 Wedding stationery was in moderrn greenery style with golden additions. 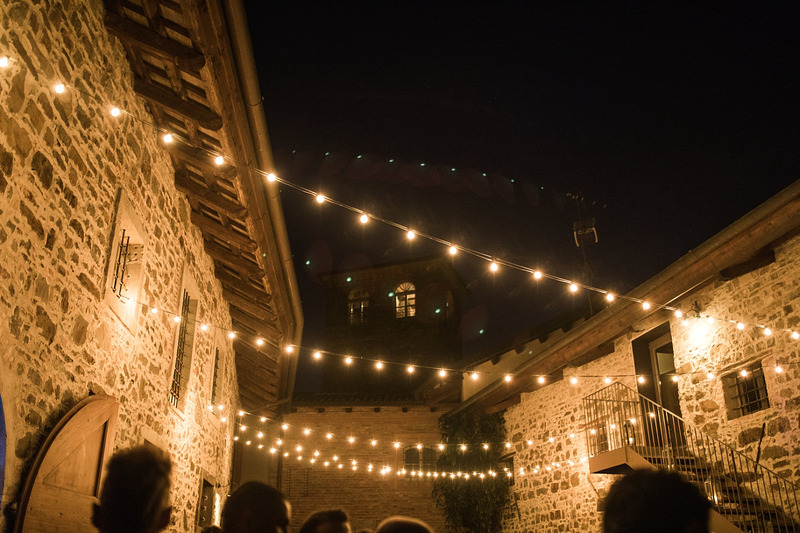 Excelent food and drinks emphasized the feel good atmosphere even moore. 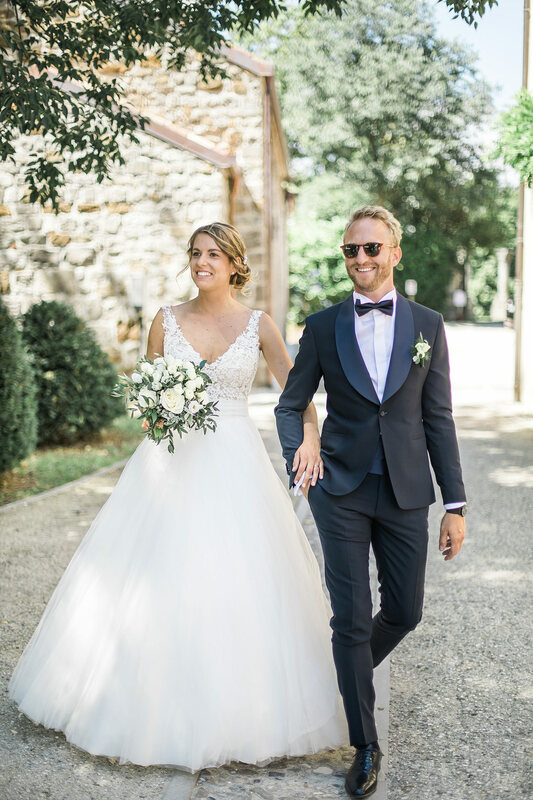 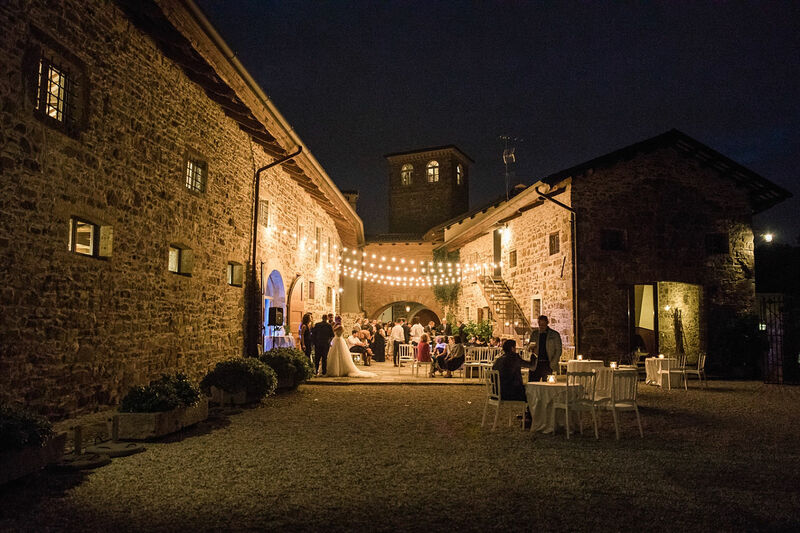 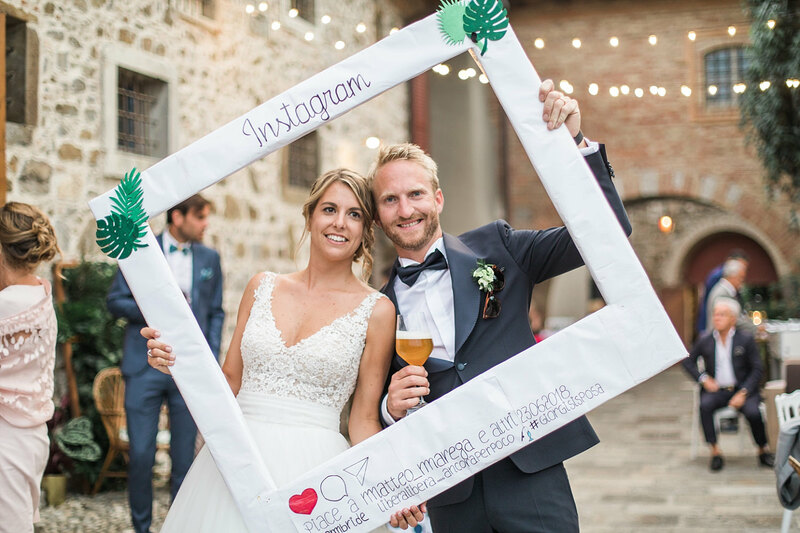 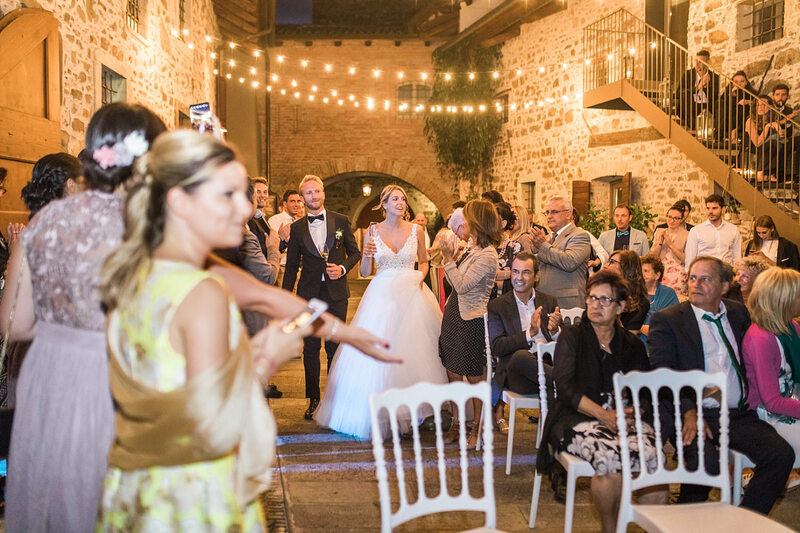 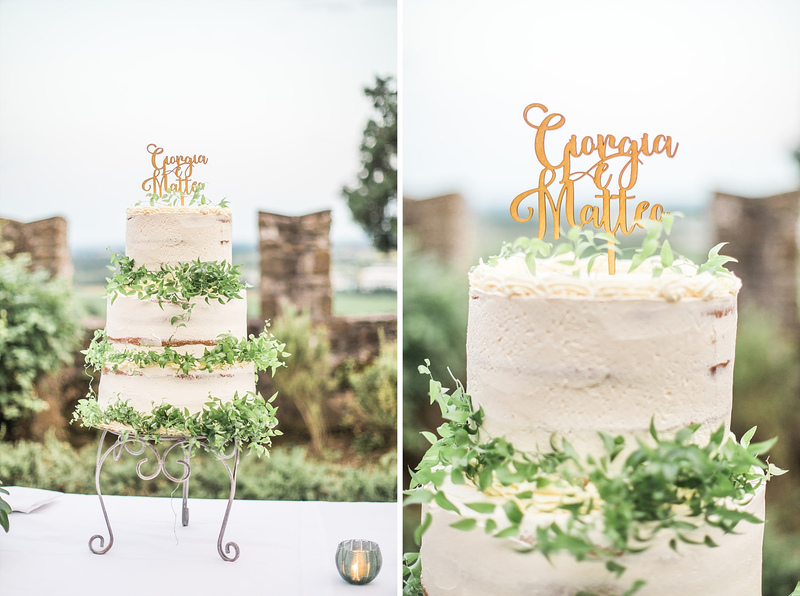 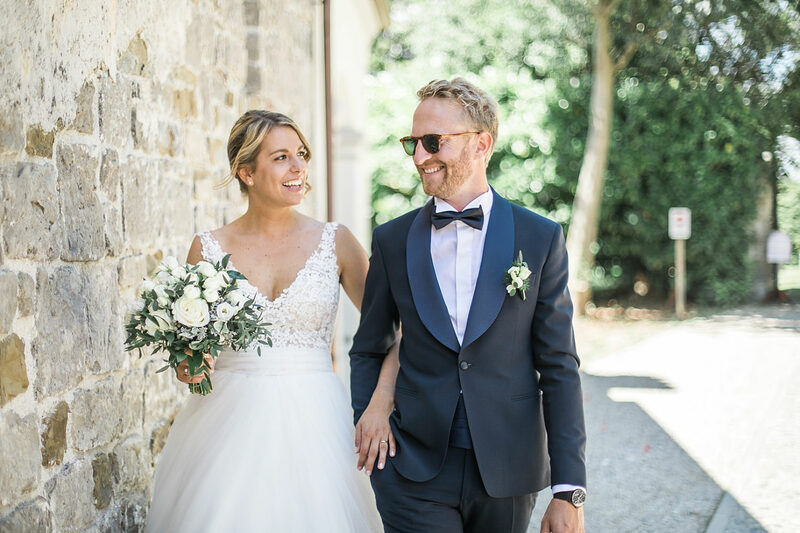 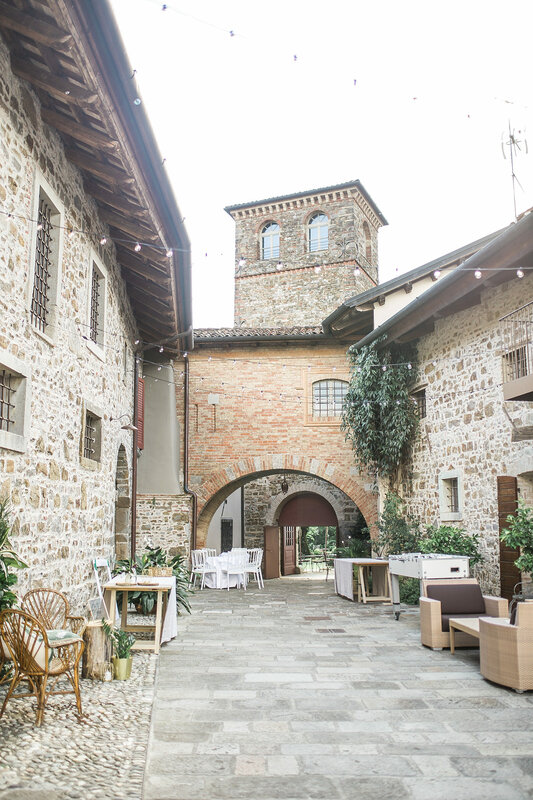 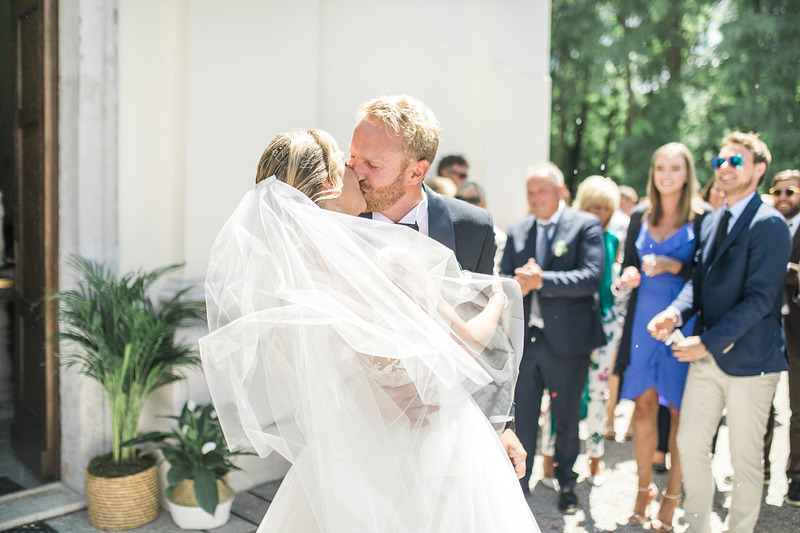 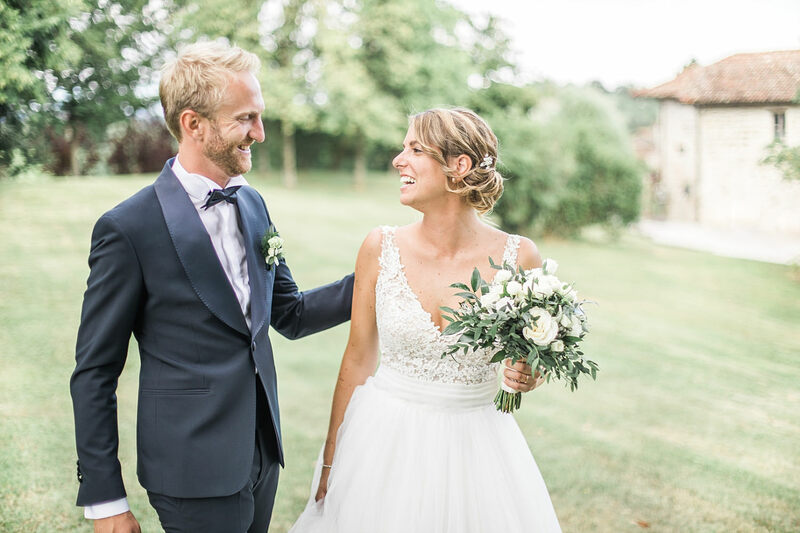 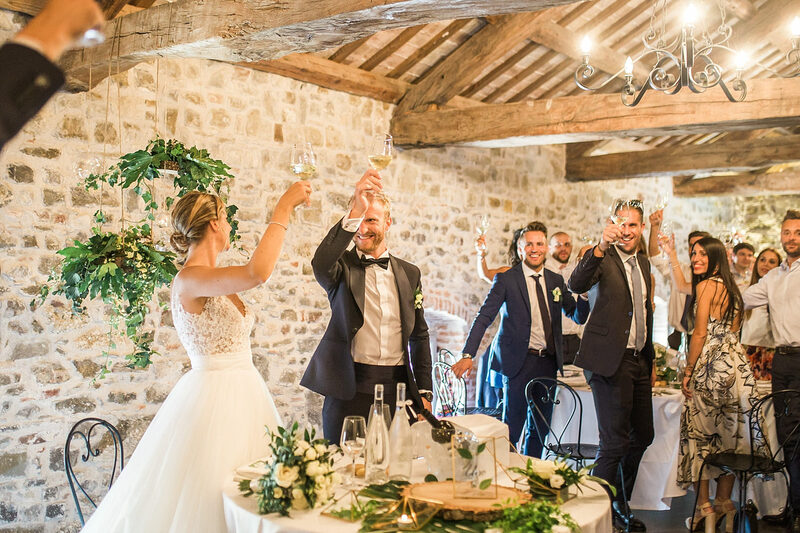 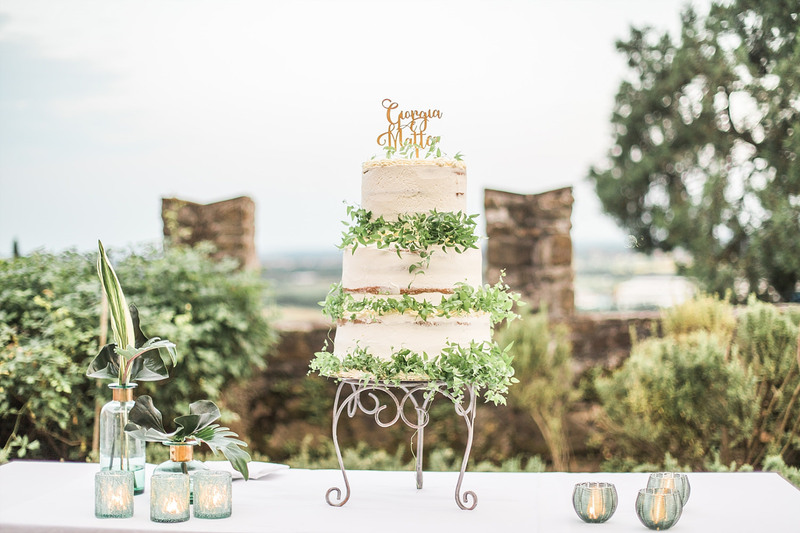 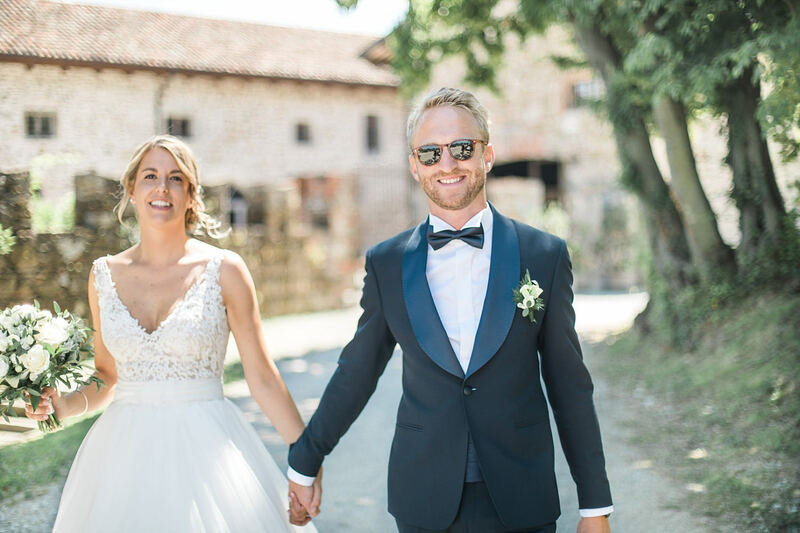 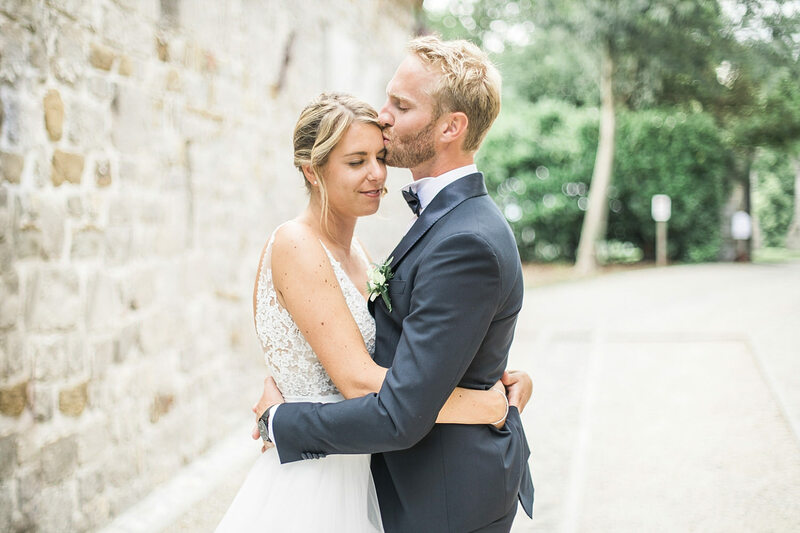 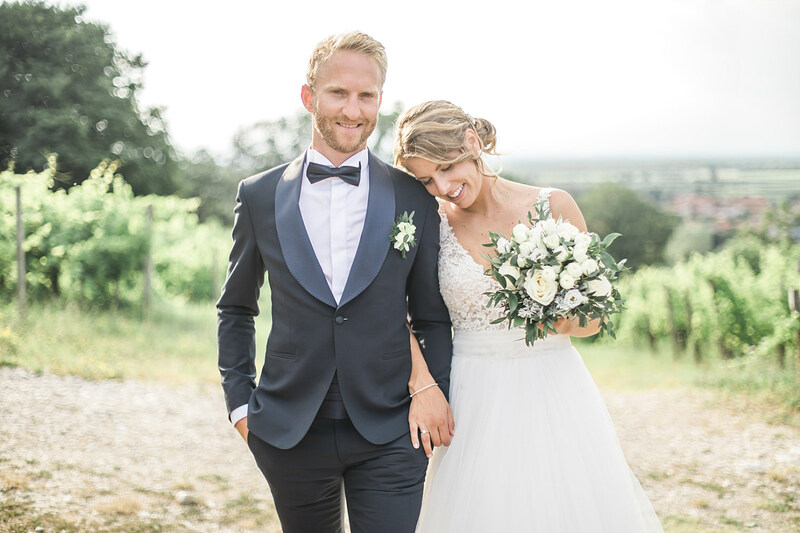 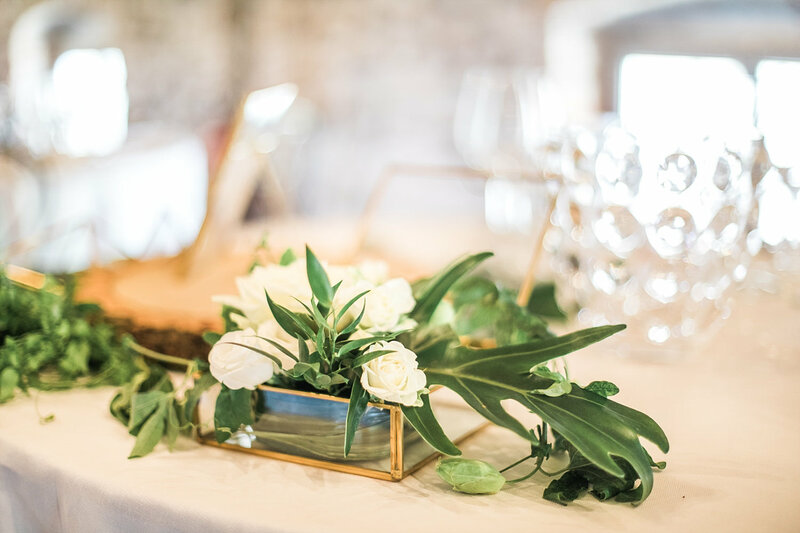 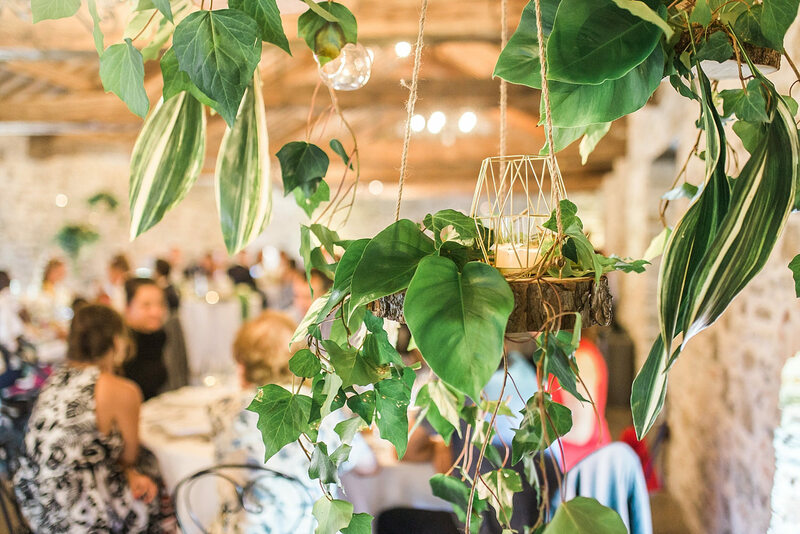 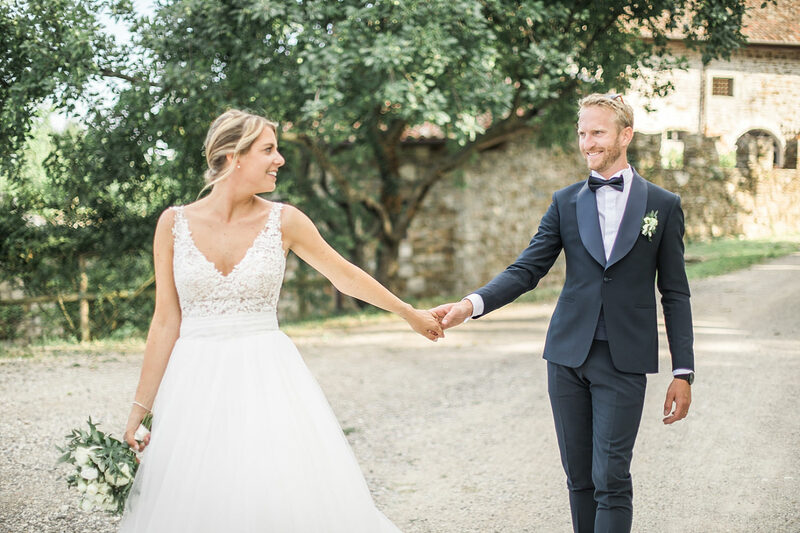 We returned from the wedding full of positive impressions and extremely grateful, that we were a part of this fairytale tuscany style wedding. 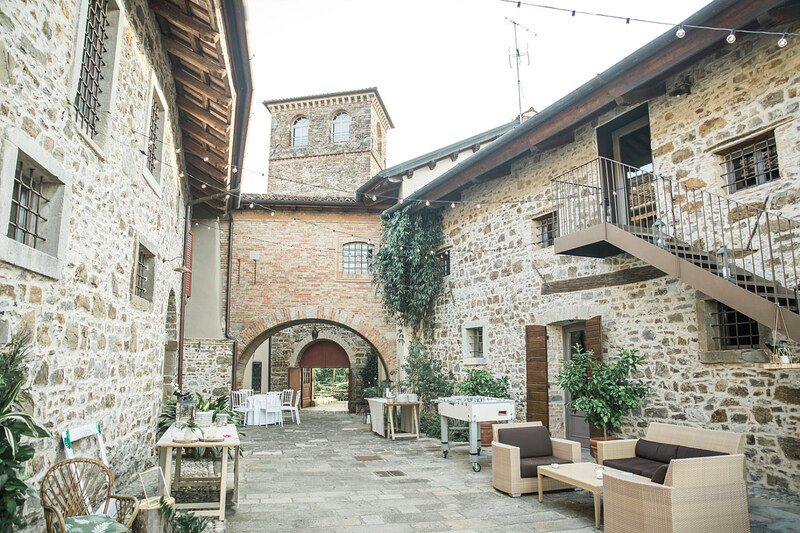 We hope to return to Buttrio very soon.